So ladies and gentlemen here is yet another theme for Windows 7 by Microsoft. I have already shared many themes for Windows seven. Today’s theme that I’m going to share is Captain America Windows 7 Theme. 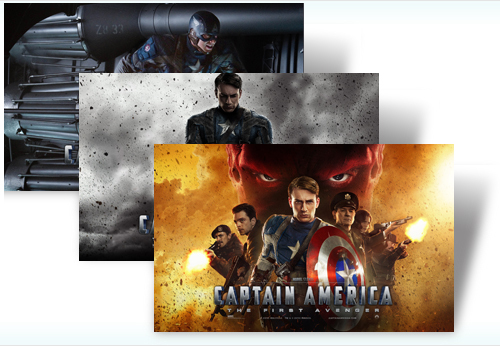 The Paramount Pictures and Marvel Studios film Captain America: The First Avenger comes alive in all its explosive, gritty glory with this free theme for Windows 7. Includes dramatic stills that capture the vintage military uniforms, chunky laboratory equipment, and other production details that make this alternative history feel so vivid and real. Thank you Simrandeep for given Captain America windows 7 themes on here. Awesome theme i must say,Captain America Windows 7 Theme looks very powerful and it gives a manly look to the computer screen.Thank you for sharing such a great and interesting stuff with us. I just love Captain Windows 7 theme.Going to download it.